Where there's mud, there's water (and possibly life). For the greater part of 2016, Mars was the focus of mankind’s fascination with space, and so much of this focus centered on our desire to know about life on the Red Planet. Was Mars once a host to extraterrestrial life? Well, NASA’s Curiosity rover has been on a mission to satisfy this curiosity, and recently, it uncovered something worthwhile to add to its discovery notes from last year. Scientists are convinced, more than ever, that Mars was once a wet planet. Some billions of years ago, Mars hosted large lakes, they assert, and traces of evidence supporting this assertion have been discovered by Curiosity. The rover has also found mineral deposits that suggest the previous periods with water lasted even longer than we thought. For the past several weeks, the Martian rover has been examining slabs of rock cross-hatched with shallow ridges in an area of Mars known as “Old Soaker.” NASA believes that these could be mud cracks that formed about 3 billion years ago. 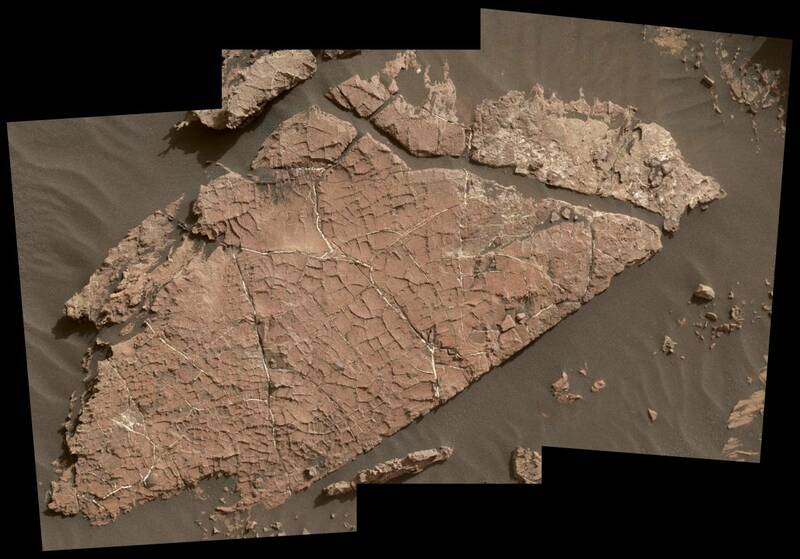 “Mud cracks are the most likely scenario here,” said Nathan Stein, a member of Curiosity’s team. “It looks like what you’d see beside the road where muddy ground has dried and cracked,” he added. So, Mars most probably had water, but does this mean that there was some kind of life on the Red Planet? Everywhere we find liquid water on Earth, we find life, but Curiosity will need to roam around a little more before we can be sure that the same can be said of Mars.